The 105th Legislature, First Session of the Unicameral started in January. There were 667 bills introduced. The Nebraska Association of Commercial Property Owners (NACPO) has identified 60 bills that affect commercial and investment real estate. NACPO is actively monitoring, supporting or opposing these bills. Given the high number of bills NACPO is focused on this year, we are only providing a summary of the issues below. The major issues fall into two main categories: 1. Taxes and 2. Development and Tax Credits. There are seventeen bills on our list concerning taxes. These bills address issues such as sales taxes on services, changing valuation processes, increasing sales tax rates, eliminating or changing capital gains and adopting the Modern Tax Act (MTA). The MTA would impose a 5.5 percent tax on the interest paid on auto and real estate loans. NACPO opposes and is monitoring most of these bills, including the MTA. There are sixteen bills on development and tax credits. The thrust of many of these bills is to restrict, increase regulation and oversight, or eliminate development and redevelopment provisions that are currently in place. Some of the bills relate to funding, such as bonds. NACPO is opposed to most of these bills as well. Additionally, there are three bills concerning the Tax Equalization and Review Commission (TERC). One bill, sponsored by NACPO, would modify the burden of proof of a valuation on the County Assessor if the property valuation increased by more than 5 percent in one year. This provision is on the books in a number of other states. Another TERC bill would require one of the county commissioners to be a licensed real estate broker. Generally, there are two bills related to multi-family, one of which specifically concerns rent-restricted housing, and four bills related to building codes. Potential changes to building codes include updating the electrical codes, restricting variations to State codes, elevator codes and enforcement under the Contractor Registration Act. There is also one bill that will allow those in the storage business to automatically place a lien on any property stored in their facility by a tenant. 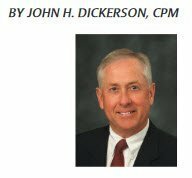 For questions and comments about legislative issues, please contact John Dickerson at 402.778.7521. John is the current President of NACPO.